Rhode Island School of Design residencies are the latest development in the quickly rebuilding arts community. In three years’ time, the Libra Foundation has provided all that and more, purchasing more than 30 buildings and investing somewhere in the neighborhood of $10 million in the town of Monson while creating Monson Arts, a yearlong artist residency program with a long-term goal of arts-based economic development in Maine’s poorest and least-populated county. Craig N. Denekas, chief executive officer of the Libra Foundation, said the vision for Monson Arts is to create something similar to what Libra did with Pineland Farms in New Gloucester nearly 20 years ago with its working farm and agriculture-retail model, but with a focus on creativity and entrepreneurship that will benefit Monson and the nearby towns that serve as a gateway to Moosehead Lake and the North Maine Woods. This spring, Monson Arts begins partnering with the Rhode Island School of Design to bring two to four furniture and industrial designers to Monson for monthlong residencies in hopes they will tap into the county’s wood and furniture-making legacies and develop a wood-based product that could help revive jobs in the tradition of Moosehead Manufacturing. The resident artists from RISD will be chosen later in the spring and begin working in Monson in July. Moosehead Manufacturing had plants in Monson and Dover-Foxcroft, and employed more than 100 of Monson’s 700 residents until it closed in 2007. In the decade after the plant closed, downtown Monson withered. Residents moved away, businesses closed and people who used to stop in Monson on their way to Moosehead Lake began driving through. Today, the downtown is thriving, year-round. Ever present is the sound of power tools – saws, drills and air hammers in the hands of work crews, who are turning old buildings into new ones. Several large structures are stripped to their barn boards or covered in green sheathing, signs of works in progress. There’s a new art gallery, a high-end restaurant and a general store, all supported by Libra’s investment. Libra bought and renovated an old school building, long closed and costing the town in heat and upkeep, for studios. It bought and renovated a dozen empty homes for artist housing, all within walking distance of downtown, and paid to bring high-speed internet to town. And, yes, there are three bars, although Libra’s investment supports only the Quarry, a new restaurant that feeds both the resident artists and the public. Bray, who grew up in Monson and lives nearby in Sangerville, is impressed. As they debated their investment, Denekas and his colleagues at Libra kept reading news reports about Piscataquis County that painted a bleak picture. It’s the poorest county in Maine with the lowest median household income and the highest poverty rate. It’s also Maine’s least-populated county, with just 17,000 residents. But as they got to know the county and learn its history, they began seeing a different picture emerge. Especially in Monson, there’s a deep history of arts and culture. The painters Marsden Hartley and Carl Sprinchorn spent time in the area, and the photographer Berenice Abbott lived out her life nearby. 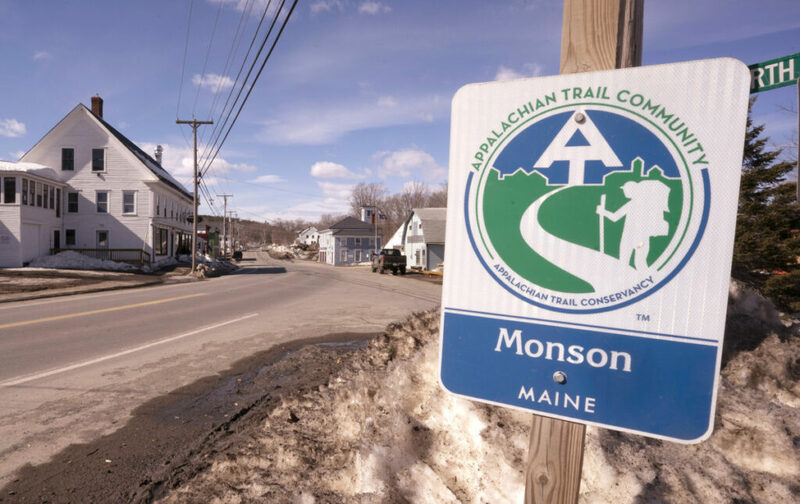 The naturalist writer Henry David Thoreau wrote about the area in “The Maine Woods.” Monson is the last community on the Appalachian Trail before it moves into the wilderness and Mount Katahdin beyond. For many years, the AT passed through downtown. It skirts downtown now, but the history of the community is informed by a culture of hiking and an outdoorsy ethic, Denekas notes. Monson Arts ties all of that together. Libra has a history of investing in long-term community-based projects, and operates with a broad goal of enriching Maine, empowering communities, and enhancing the quality of life of all Maine citizens. In addition to Pineland Farms, another high-profile Libra Project was the Outdoor Sport Institute, formerly the Maine Winter Sports Center, in Caribou. Stuart Kestenbaum, Monson Arts’ artistic director, said he’s “simply stunned” by the scale and pace of Libra’s investment. Kestenbaum, who is also Maine’s poet laureate, directed Haystack Mountain School of Crafts on Deer Isle for nearly 30 years, and has brought his hands-on experience running a nationally recognized arts program in rural Maine to the Monson project. The kind of development that Libra envisions may not happen on a grand scale, Kestenbaum said. But Monson is exactly the place something less ambitious might succeed. “It’s not going to be like Bath Iron Works. It’s not like bringing in a big employer. It’s going to be slow and incremental growth in an area that hasn’t seen a lot of investment,” Kestenbaum said. Since the residencies began last summer, Monson Arts has attracted 41 artists, mostly writers and visual artists, from 14 U.S. states, the United Kingdom, Iran and Argentina. They came 10 at a time and stayed in homes that Libra has renovated, took their meals at the Quarry and went about their work in studios paid for by Libra. Each artist also received a $1,000 stipend. Monson Arts will provide time and resources for the designers from RISD to work on prototypes. They will have access to Monson Arts’ wood and metal shops, and also will be able to use the digital fabrication equipment at the Innovative Media Research and Commercialization Center at the University of Maine in Orono. Rosanne Somerson, president of RISD, said the Rhode Island art school became interested in the partnership because of Monson’s history and its rebirth. “We knew the community was going through somewhat of a renaissance and trying to figure out how to revitalize through the lens of art and design. That is a message that appeals to us,” she said. The residencies will offer RISD students time and resources to explore their ideas and apply what they have learned in school in a day-to-day studio practice. That’s how careers begin, Somerson said. 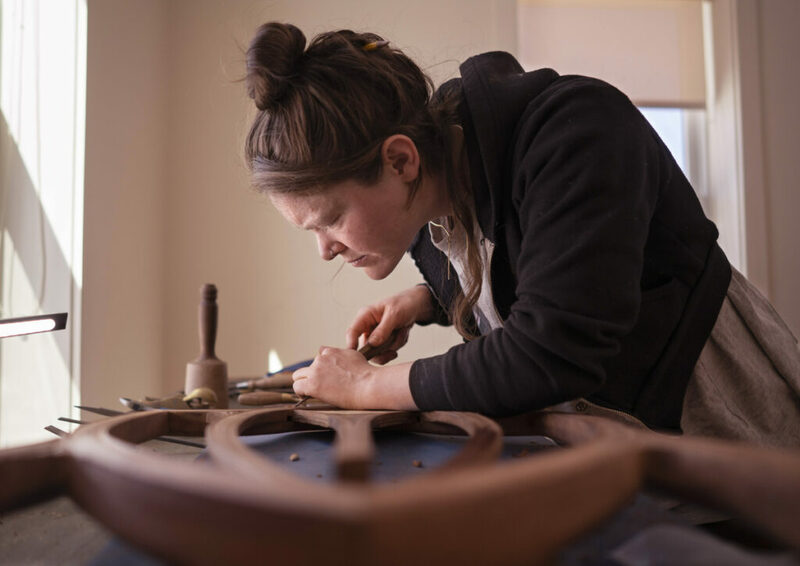 The furniture design program at RISD has about 100 majors and is limited only by space constraints, she said, adding that Maine is an appealing place for them because it is affordable and has abundant natural resources.